Seifer is Squall’s rival in the game. Ironically, he, along with his buddies Fujin and Raijin, form Balamb Garden’s “disciplinary committee”; however, they are seen more as a gang that love to toss their powers around. 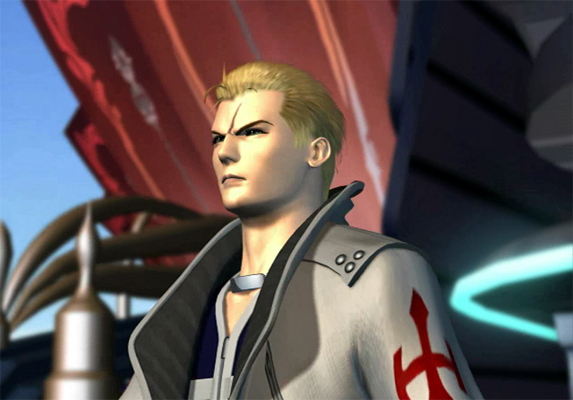 Seifer is a controllable character for part of the final SeeD exam until he decides to abandon the mission and disobey his orders, which also causes him to fail the exam. In the past, Seifer grew up with the rest of the SeeDs at Edea’s orphanage and his rivalry with Squall started there as they always got in fights. As they grew up, Seifer mirrored Squall in many ways, including wielding his same weapon, the gunblade. However, Seifer had one major difference and that was his dream of becoming a sorceress’ knight. He got this idea by watching the movie that Laguna starred in as a sroceress’ knight during his attempt to raise money. Seifer even went as far to mimic Laguna’s battle stance in the movie. Seifer also had a brief romantic interlude with Rinoa and it is believed that his feelings for her along with anger of not becoming a SeeD, led him to try to kill President Deling himself. At this moment, Ultimecia (who was controlling Edea at the time) dove into Seifer’s mind and discovered his dream of being a sorceress’ knight. She used this knowledge against him and convinced him to turn on his friends and fight for her. At the end of the game, Seifer is finally free from Ultimecia’s control and is seen fishing with Fujin and Raijin as Balamb Garden flies overhead. While it is isn’t stated specifically what his fate was, it can be inferred that since he was not a part of the Garden’s celebrations, he was forever banned from the Garden and becoming a SeeD due to his actions. Edea, a powerful sorceress, serves as the main enemy of the SeeDs for the majority of the game. Her rise to power started as she was appointed by President Deling as a special ambassador. During her inagauration ceremony, she kills Deling and proclaims herself as leader of Galbadia. The Galabadian Army and Balamb Garden soon had a massive battle in which Edea was finally defeated. At that point, Edea came to her senses and revealed that she was actually being controlled by a sorceress from the future, Ultimecia. Before that point, we also learned that Edea was actually the Matron of an orphanage that housed all the SeeDs, Seifer, and Ellone; furthermore, we find out the idea to create SeeD was hers. In an attempt to atone for her sins, she travels with the party to Esthar in order to have her sorceress power’s supressed; however, this was not needed as she transferred her powers to Rinoa without realizing it. Edea also becomes a controllable character for a brief period of time during the party’s journey to Esthar. 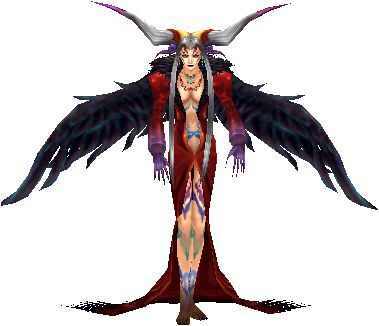 Ultimecia is the main antagonist of Final Fantasy VIII, even though we do not become aware of it until very late in the game. Her goal in the game is rather unique to say the least, and somewhat mimics Xande’s plan from Final Fantasy III. She comes up with a plan to turn the world into a state of Time Compression, in which only she can survive, allowing her to become an immortal goddess of her own world. She wishes to do this in order to dodge her fate of being destroyed by the “legendary SeeD” (whom end up being Squall and company). In order to fulfill her plan, she creates a bit of a time paradox. After she is initially defeated by the SeeD (before the game starts), she travels to the past in order to give her powers to Edea. 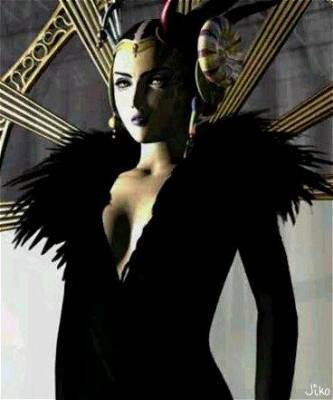 With Edea now in control of her powers, when the future rolls back around, she possesses Edea’s body via Dr. Odine’s “Junction Machine Ellone” and has her rise to power in order to hunt down Ellone. Ultimecia knows that Odine’s machine has limits; however, if she were to take control of Ellone, that restriction would no longer be in the way and she could send her mind further into the past, making it possible for her to compress time. Seemingly sensing this plan, Edea came up with the idea to create SeeD to fight the sorceress and allowed herself to be controlled by Utlimecia to protect Ellone. As the game unfolds, our heroes come up with a plan to trick Ultimecia into thinking she could compress time; however, Ellone stopped the process short, allowing Squall and company to travel to Ultimecia’s time and destroy her. After her death, she again travels to the past to find a sorceress to transfer her powers to and again, passes them to Edea, creating a perpetual loop in which she would always surely be destroyed by the SeeD no matter what she did. Yes, that’s right, in the end, Ultimecia quite literally screws herself over for all time.